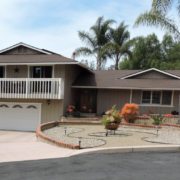 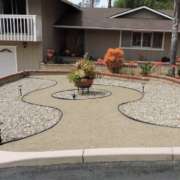 During the height of the drought, Bill & Rachel decided to replace their water intensive front and back lawn with a water efficient landscape. 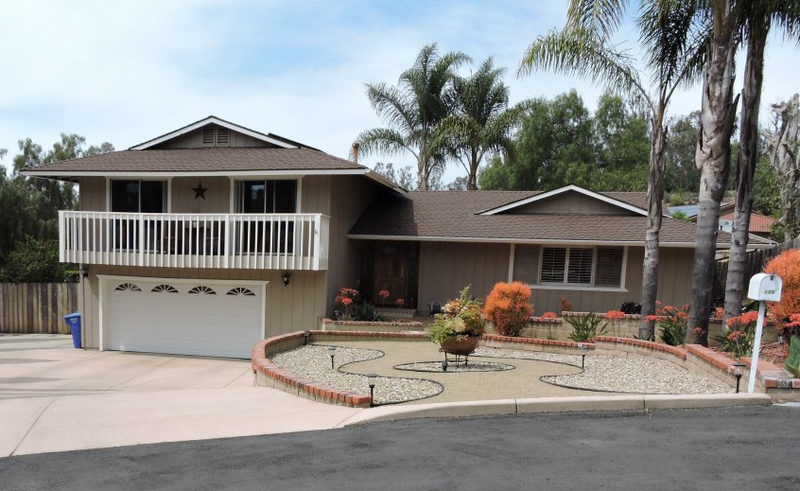 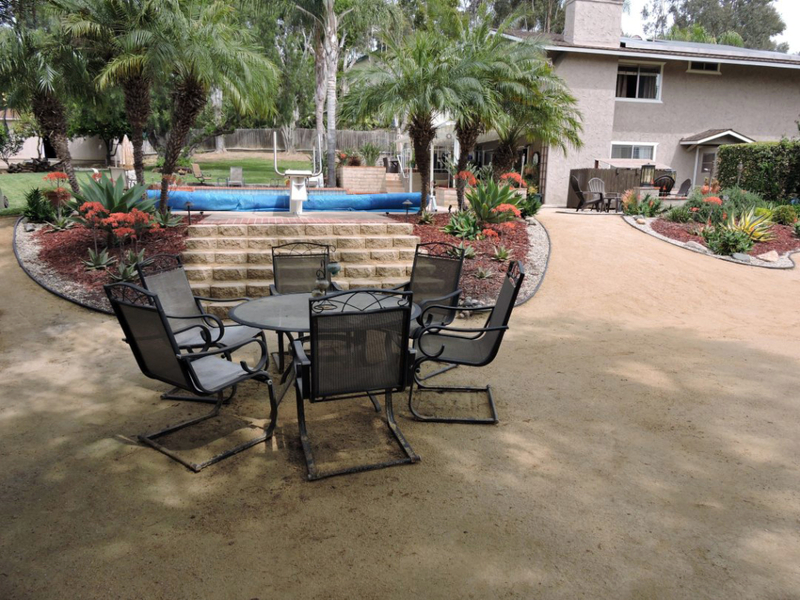 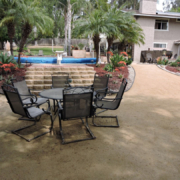 After hiring professionals to remove over 2,500 square feet of grass and install drip irrigation, they designed the layout and chose their water-wise plants. 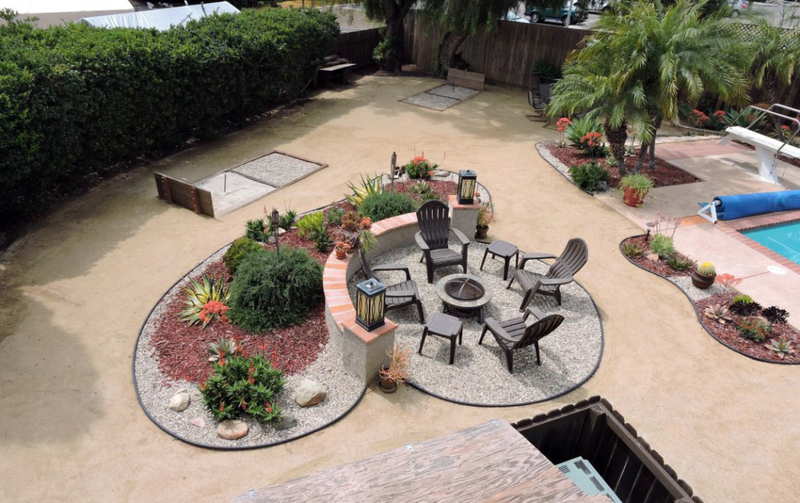 By adding fun elements, such as a horseshoe pit and outdoor seating area surrounding a fire pit, Bill & Rachel transformed unused space into a backyard with utility. 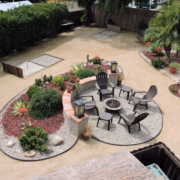 The result was an eye-catching design incorporating decomposed granite, cactus and splashes of vibrant color from the aloe and agave families. 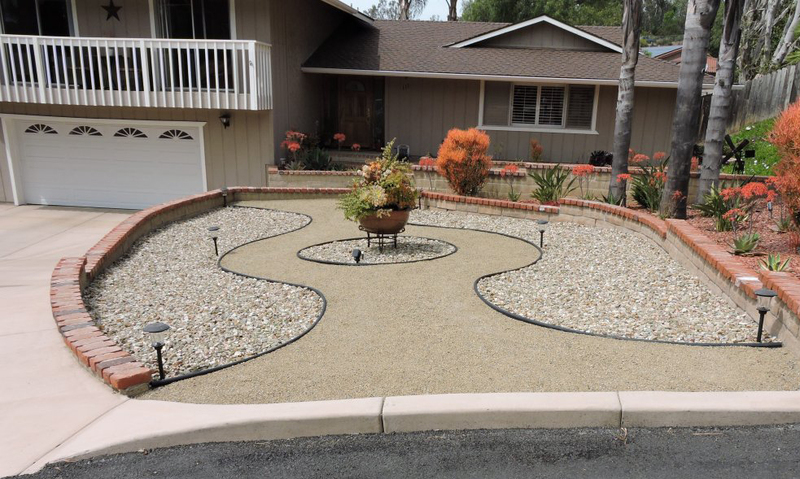 They “couldn’t be happier with the results”, and their WaterSmart project turned their water thirsty lawn into a low maintenance, low cost and water efficient haven where they can relax and enjoy a game of horseshoes.